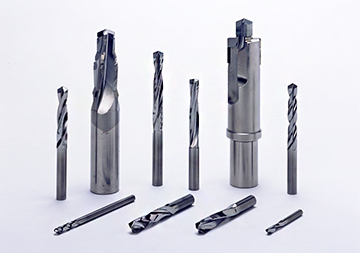 SUNPAX Drills | Asahi Diamond Industrial Co., Ltd.
To meet the market demand for high productivity, we developed helical type drills with a diamond compact, which allows rapid feeding and reduces thrust. Also available are special types that solve exit burr and chip obstruction problems. They also allow you to integrate processes by adopting one-pass finish and multistep edges.